Chocolate Cream Cheese Frosting | Rosetta Bakes! 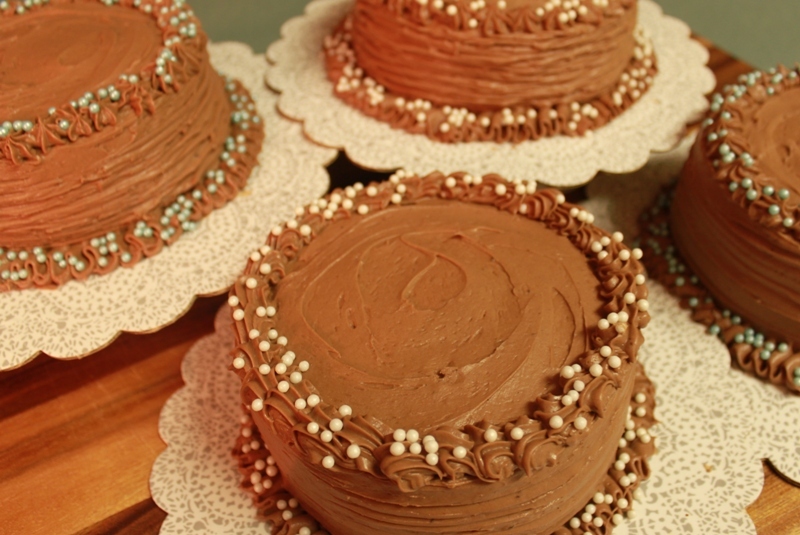 The cakes below are iced with Chocolate Cream Cheese Frosting. Melt butter and chocolate on low until smooth, then cool. Beat cream cheese and chocolate mixture together with milk and vanilla. Gradually add powdered sugar a little at time, beat until smooth.